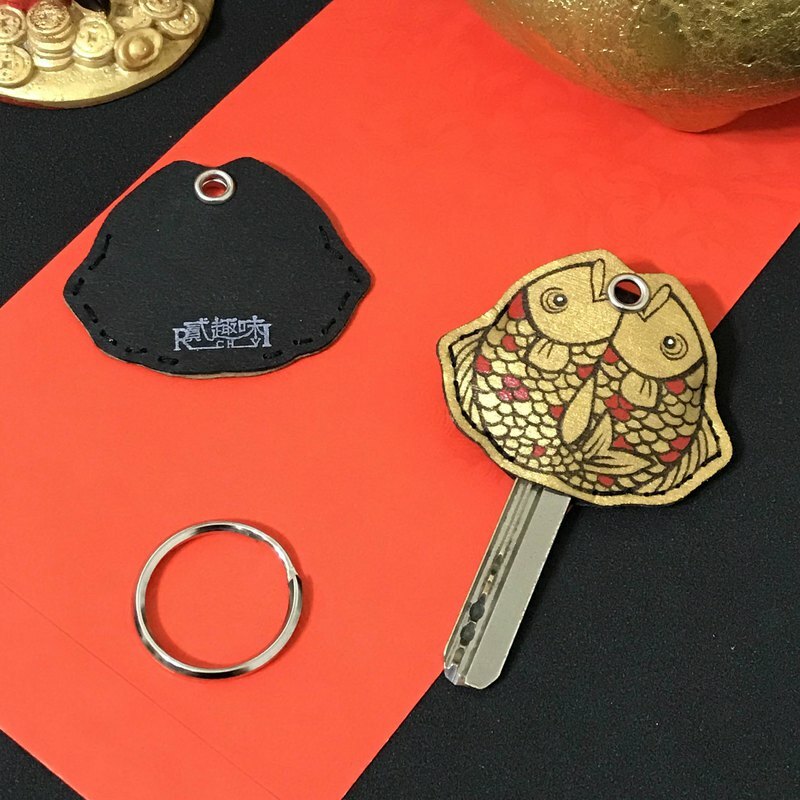 There are fish key sets every year [New Year Special Edition - Gold] Every year, there are fish to welcome the new year, and the double glory beads (pig) Yuelongmen The golden koi is embellished with red scales. The image of Pisces jumping for the bead is in addition to the homonym, It is also expected to be able to take the lead and make the career even higher. Can also be mounted on shoes as a shoe ornament Or as a key ring or a hanging bag! The key cover is cut with "washed kraft paper" Draw a pattern and then stitch it by hand & hit the metal ring The key cover allows you to get the keys more handy. Product Name: Every year there is a fish key set [New Year Special Edition - Gold] Place of Origin: Taiwan Material: washed kraft paper, hardware, cotton thread, acrylic paint Size: 9x9cm (bag) Product size: 4.2x4cm Weight: 10g ※Handmade goods, each group will be a little wrong with the photos! If you are concerned, please do not order, thank you.